Of the quarter-million women diagnosed with breast cancer every year in the United States, about 180,000 undergo surgery to remove the cancerous tissue while preserving as much healthy breast tissue as possible. However, there’s no accurate method to tell during surgery whether all of the cancerous tissue has been successfully removed. The gold-standard analysis takes a day or more, much too long for a surgeon to wait before wrapping up an operation. As a result, about a quarter of women who undergo lumpectomies receive word later that they will need a second surgery because a portion of the tumor was left behind. Now, researchers at Washington University School of Medicine in St. Louis and California Institute of Technology report that they have developed a technology to scan a tumor sample and produce images detailed and accurate enough to be used to check whether a tumor has been completely removed. Called photoacoustic imaging, the new technology takes less time than standard analysis techniques. But more work is needed before it is fast enough to be used during an operation. The research is published May 17 in Science Advances. 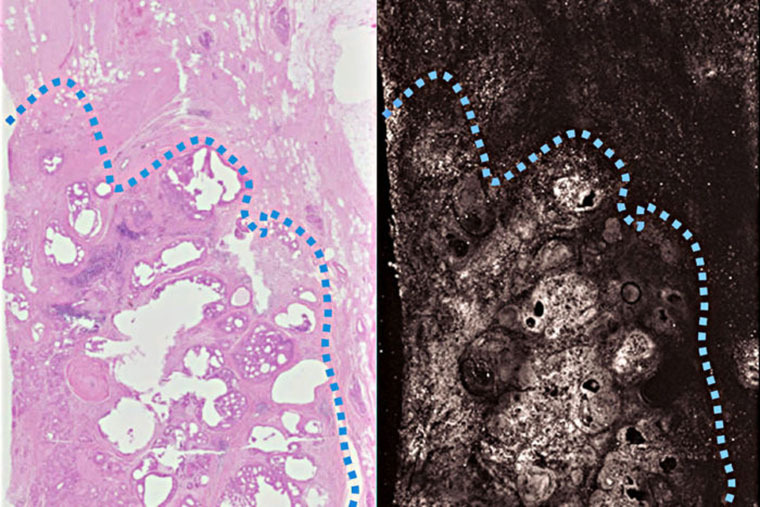 “This is a proof of concept that we can use photoacoustic imaging on breast tissue and get images that look similar to traditional staining methods without any sort of tissue processing,” said Deborah Novack, MD, PhD, an associate professor of medicine, and of pathology and immunology, and a co-senior author on the study. The researchers are working on improvements that they expect will bring the time needed to scan a specimen down to 10 minutes, fast enough to be used during an operation. The current gold-standard method of analysis, which is based on preserving the tissue and then staining it to make the cells easier to see, hasn’t gotten any faster since it was first developed in the mid-20th century. For solid tumors in most parts of the body, doctors use a technique known as a frozen section to do a quick check of the excised lump during the surgery. They look for a thin rim of normal cells around the tumor. Malignant cells at the margins suggest the surgeon missed some of the tumor, increasing the chances that the disease will recur. But frozen sections don’t work well on fatty specimens like those from the breast, so the surgeon must finish a breast lumpectomy without knowing for sure how successful it was. “Right now, we don’t have a good method to assess margins during breast cancer surgeries,” said Rebecca Aft, MD, PhD, a professor of surgery and a co-senior author on the study. Aft, a breast cancer surgeon, treats patients at Siteman Cancer Center at Barnes-Jewish Hospital and Washington University School of Medicine. Currently, after surgery a specimen is sent to a pathologist, who slices it, stains it and inspects the margins for malignant cells under a microscope. Results are sent back to the surgeon within a few days. To speed up the process, the researchers took advantage of a phenomenon known as the photoacoustic effect. When a beam of light of the right wavelength hits a molecule, some of the energy is absorbed and then released as sound in the ultrasound range. These sound waves can be detected and used to create an image. The researchers tested their technique by scanning slices of tumors removed from three breast cancer patients. For comparison, they also stained each specimen according to standard procedures. The photoacoustic image matched the stained samples in all key features. The architecture of the tissue and subcellular detail such as the size of nuclei were clearly visible. Having established that photoacoustic techniques can produce usable images, the researchers are working on reducing the scanning time. Aft, Novack and Wang are applying for a grant to build a photoacoustic imaging machine with multiple channels and fast lasers. This work was supported by the National Institutes of Health, grant number DP1 EB016986 and R01 CA186567, and by Washington University’s Siteman Cancer Center’s 2014 Research Development Award. Washington University’s mission is to discover and disseminate knowledge, and protect the freedom of inquiry through research, teaching, and learning. 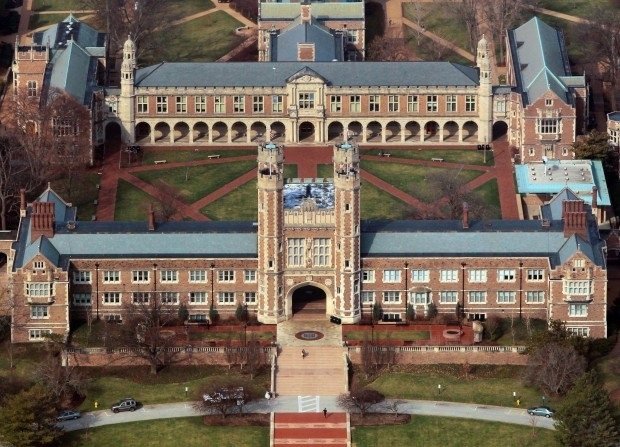 Washington University creates an environment to encourage and support an ethos of wide-ranging exploration. 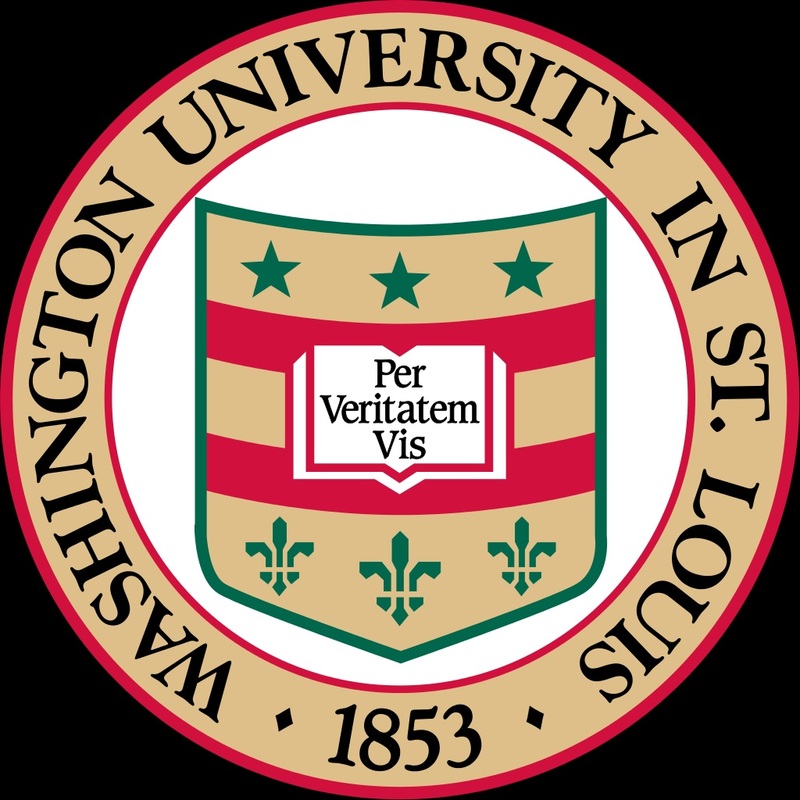 Washington University’s faculty and staff strive to enhance the lives and livelihoods of students, the people of the greater St. Louis community, the country, and the world.